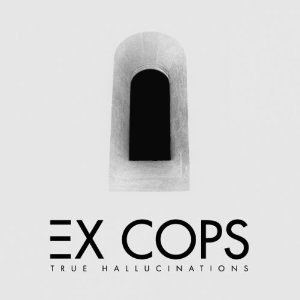 For a first full length album, True Hallucinations is above average. Commitment to one style might improve listenability and help launch this band without sacrificing originality. One example of inconsistency throughout the album is melodies that flip flop strangely from pop to rock making transitions to chorus, bridge, and any hooks feel forced and unnatural. Another example is that the intro track entitled “S&HSXX,” arguably the best track on the album, is both promising and misleading. The album jumps off with a darkly powerful beat that immediately gets the adrenaline pumping. Singer Brian Harding’s controlled wail softly enters the background alongside piercing guitar (Sam Bair), irrevocably and eerily changing the landscape of the song. The effect is powerful. It’s as if the listener was driving at top speed through a gritty urban tunnel then suddenly bursts through the other side where an expansive countryside lays waiting for discovery on a sunny Sunday drive. Seriously. It’s pupil dilating-ly good. And yet….the rest of the album is nothing like it; dreamy easy listening rock through and through. That said, a few tracks are better than others, namely “Ken,” “James,” and “The Millionaire.” The talent is solid as well. Amalie Bruun’s harmonies are enchanting and mesh well with Harding’s breathy persuasive croon. While we will be keeping an eye out for the sophomore album, “S&HSXX” will live in infamy as the brightest work from True Hallucinations.